The biggest con running in the auto industry right now is the notion that hybrids represent some sort of quantum leap in green transportation. Not only is this patently untrue — hybrid technology is actually decades old — but it shamelessly plays to the hypocrisy of our society. Cost-benefit analysis clearly doesn’t figure into the [LS 600hL’s] allure. We did the math: The hybrid version will save its owner enough on gas to break even after only 2.1 million miles. Keeping with Toyota’s brand strategy for its Lexus division hybrids, the LS 600h L deploys its technology as a badge of exclusivity rather than environmentalism, with the sort of “Why? Because we can!” bravado that’s endemic among luxury-car brands. I can understand criticism of the trunk space, and the so-so gas mileage is certainly a point for debate, but using the LS 600hL as a conduit for criticism of an entire industry is something else entirely. 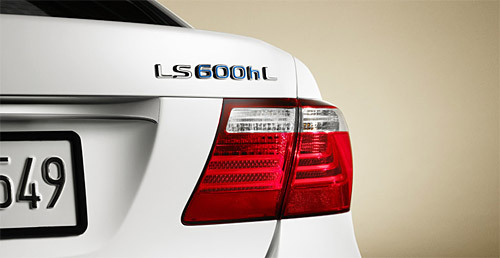 Another thing, why is it that the LS 600hL has to compare against the LS 460, rather than against its competitors? Does every Mercedes S600 review focus on the $60,000 (!!!) price difference between it and the S550? I almost think that Lexus would have gotten a more positive response if they had released a V12 LS, rather than using a V8/hybrid combo that puts out comparable numbers.